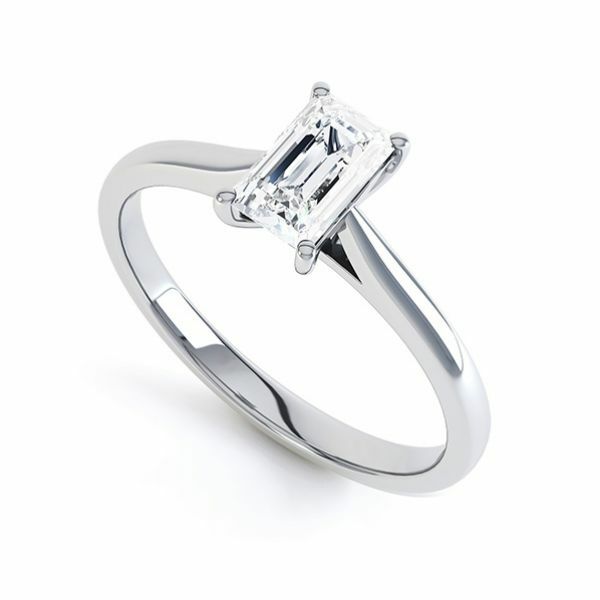 Emerald cut 4 claw diamond solitaire engagement ring with slender tapering shoulders and elegant detailed setting. 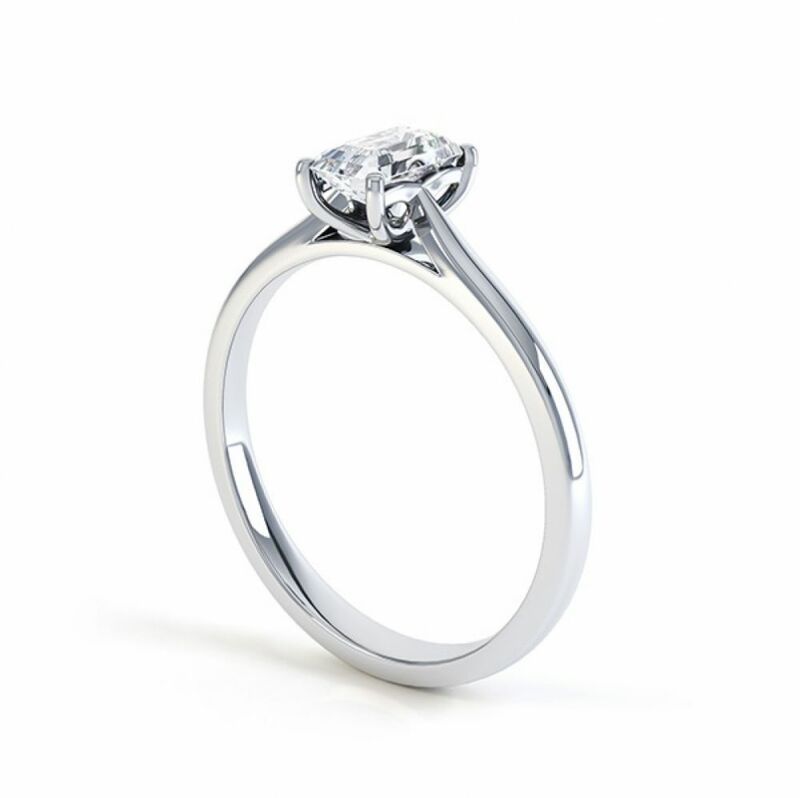 The Finesse Engagement Ring displays a perfectly faceted, Emerald cut Diamond within a refined setting. 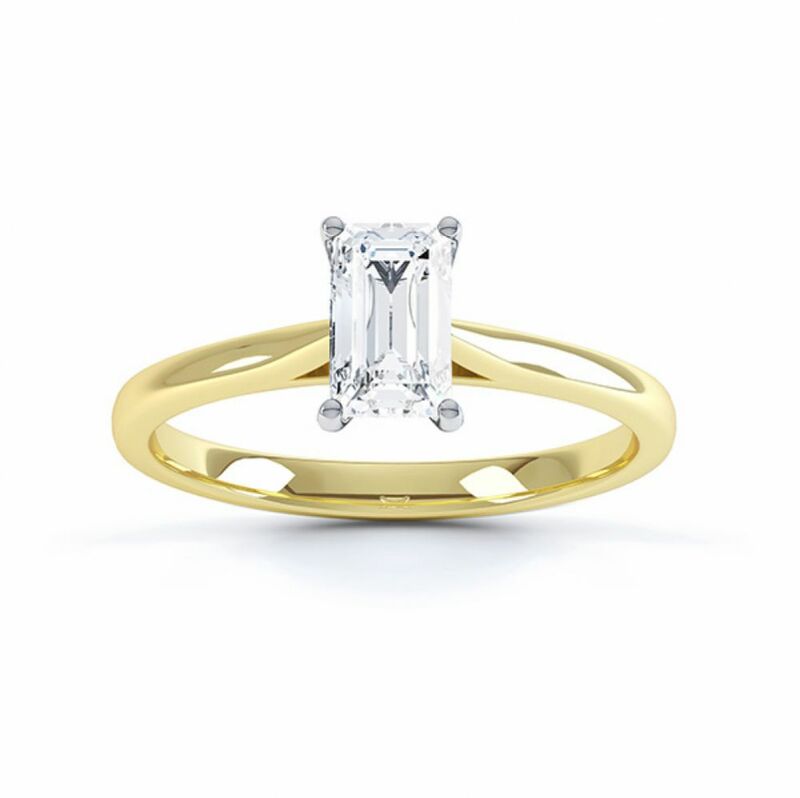 Gracefully slender, a comfortable court shaped band tapers gently towards a four claw setting. 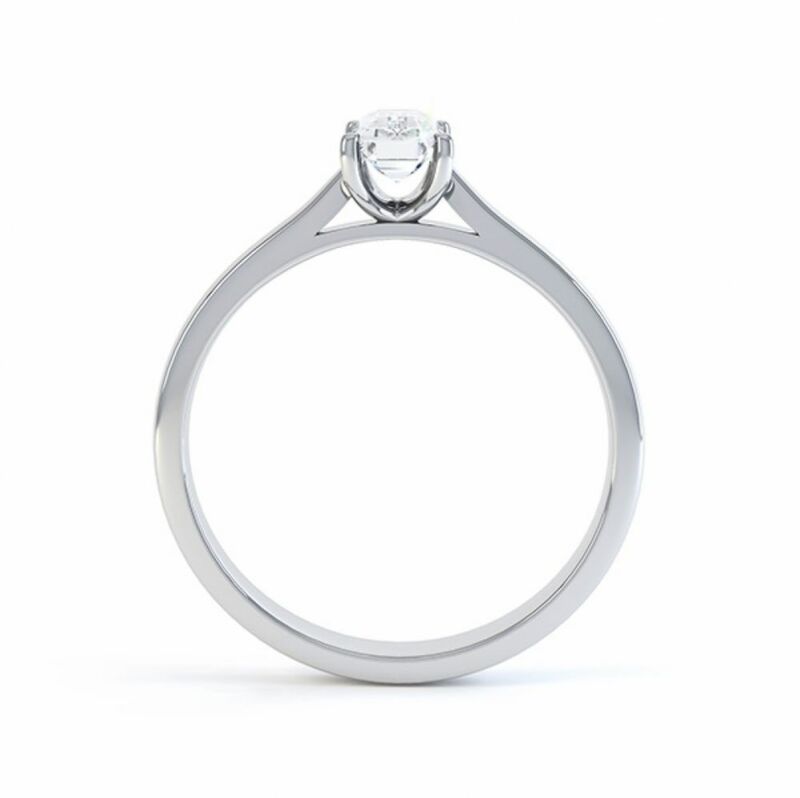 This exceptionally simple four claw setting benefits from a Wedding-Ring-Friendly design – perfectly accommodating a straight Wedding Band. With classic, yet modern styling the Finesse design is perfect for most sizes of Emerald cut Diamond, and arrives beautifully boxed and packaged within a 4 week timescale. We create this design in most precious metal choices, including 950 Platinum, 18ct Gold and 950 Palladium. We can also offer this design in our responsibly sourced Fairtrade Gold.